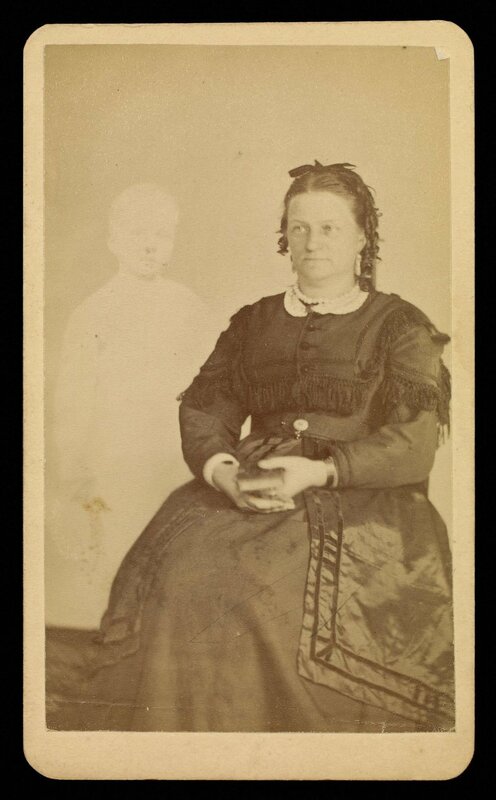 William Mumler, depending on whom you speak with, was either the pioneering figure in the history of spirit photography, or an elaborate hoax-maker. 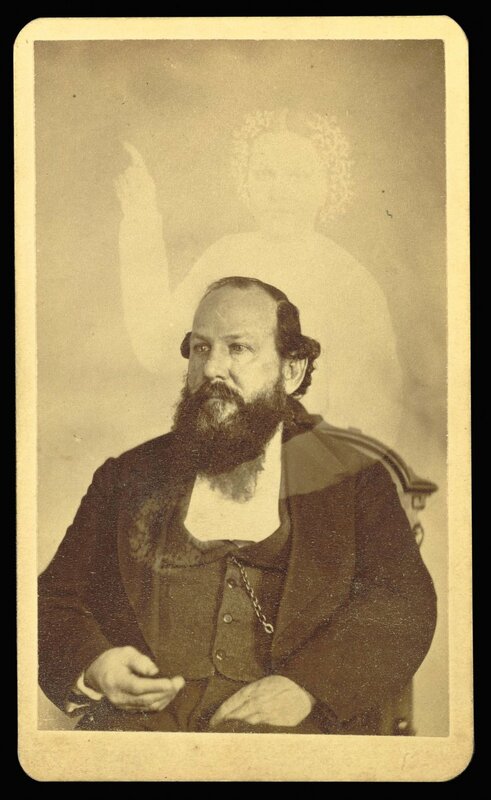 Alessandro Keegan, an art historian and painter of spiritualist imagery himself, separates the man from the myth with his slideshow/lecture on Mumler. Alessandro Keegan (b. 1980) is a visual artist, writer and adjunct professor with an MFA in painting and drawing from The School of the Art Institute of Chicago and a MA in art history from Brooklyn College. His paintings and drawings, which depict forms that straddle the lines between science, nature and mysticism, have been exhibited in New York, Chicago, Philadelphia and The Netherlands. Writings about his work have appeared in Artforum and Ephemera NYC as well as journals such as Helvete (Punctum Books, Brooklyn) and J’ai Froid (Castillo/ Corrales, Paris). He currently lives and works in Brooklyn, NY.